Back to nature with this lovely little hand painted accent pillow. 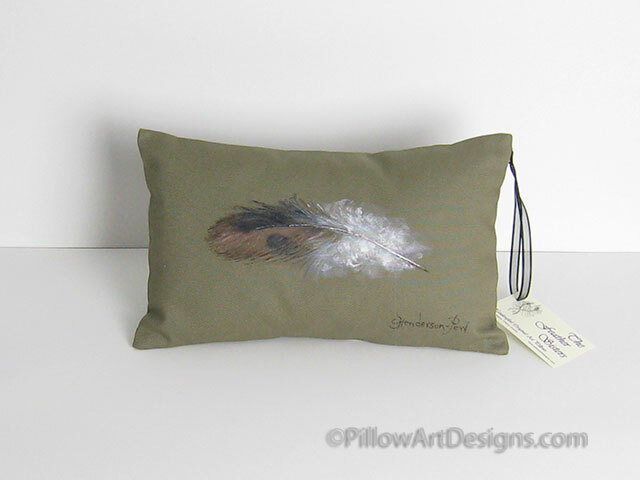 A simple but beautiful sparrow feather in variations of brown and whispy white adorns the front of this khaki green decorative pillow. 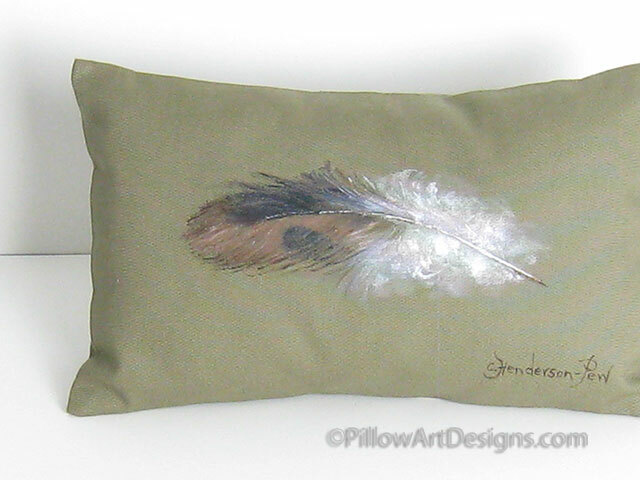 Add a spark of nature's beauty to your decor, great as part of a grouping or beautiful on it's own. 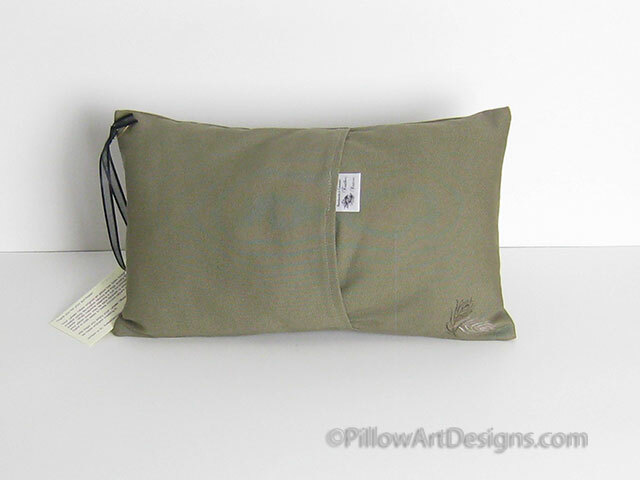 Please note the size, this is a small pillow.